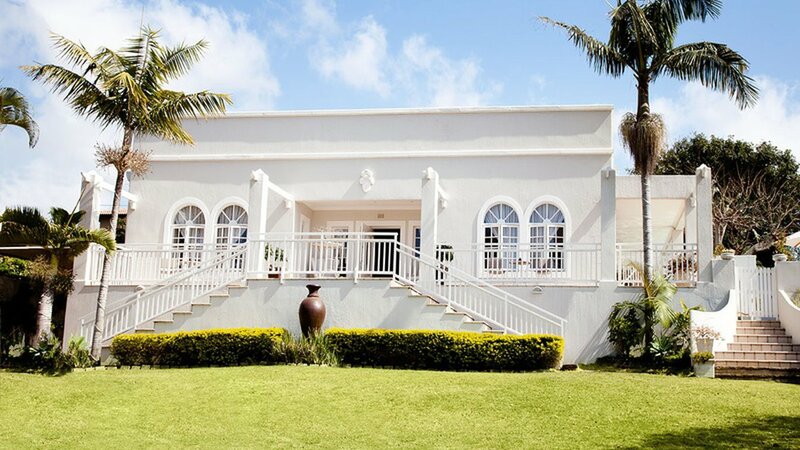 39 Chartwell Drive, Umhlanga Rocks, Kwa Zulu Natal. South Africa. Sandals is centrally situated in the quiet residential area of Umhlanga only a few hundred metres away from both the beach and the village where all the restaurants and coffee shops are located. Our 4, five star luxury en-suite bedrooms are all uniquely and individually styled in warm earthy tones. Relax around the pool, soak up the sun and enjoy a sundowner on our expansive patio whilst taking in the view of the sea.